A Psycho-Somatic Approach to Cystic Glandar Hyperplasia of the Endometrium. This is an exhaustive report of a statistical investigation that attempts to define the possible contributory and precipitating etiological factors associated with the development of cystic glandular hyperplasia of the endometrium. It approaches the problem with the best of intentions with regard to statistical design, but falls short of the mark in several essential aspects. The basic concept of making objective comparisons with suitable controls is recognized. The choice of a control population, however, seems less than ideal. These consist of patients hospitalized for appendicitis and a non-hospital group of patients selected at random, respectively. 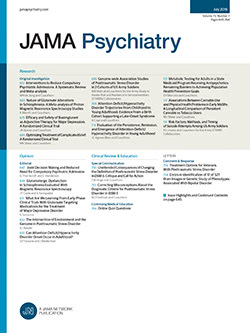 The reviewer wondered whether a more realistic selection of a group of patients with menstrual disorders necessitating uterine curettage but in whom the histopathologic diagnosis of the endometrial disorder was other than cystic glandular hyperplasia for critical comparison might not be somewhat more satisfactory for the purpose of this analysis.